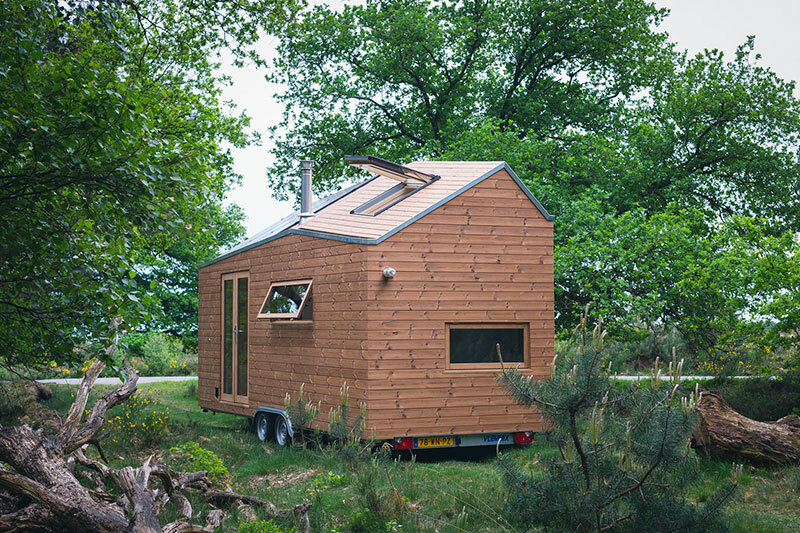 A contemporary tiny house designed by Netherlands-based Walden Studio that has clean lines and a spacious feel to it. 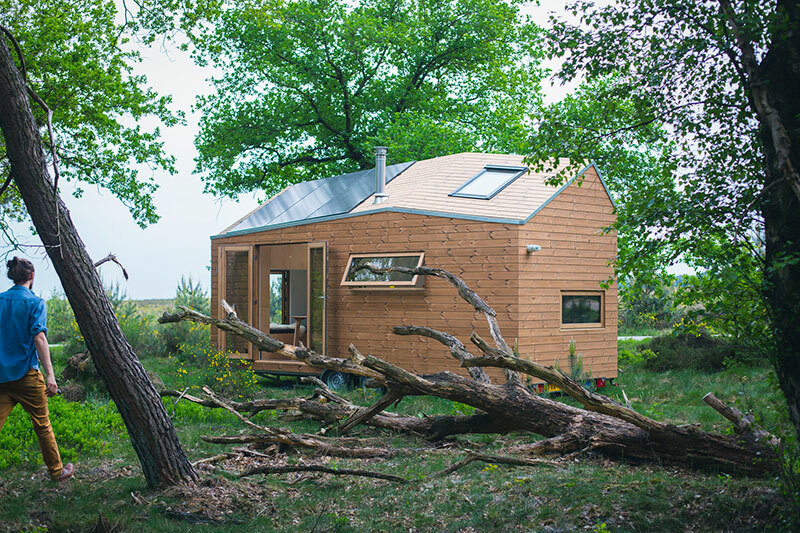 The 17 square meter house on a trailer was built for tiny house enthusiast Marjolein Jonker. 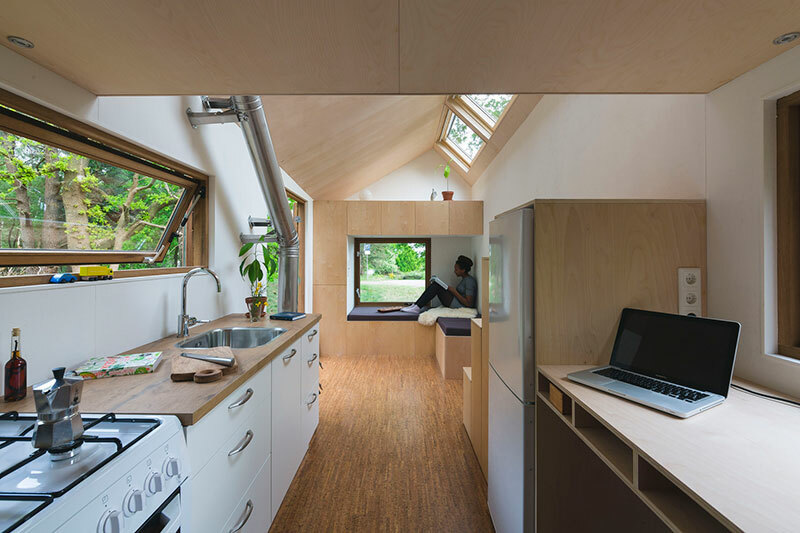 You enter through large front doors and are greeted by an open interior due to the amount of daylight allowed by four roof lights that enters the house. The house has a generous kitchen with an oven, sink, countertop and storage areas. 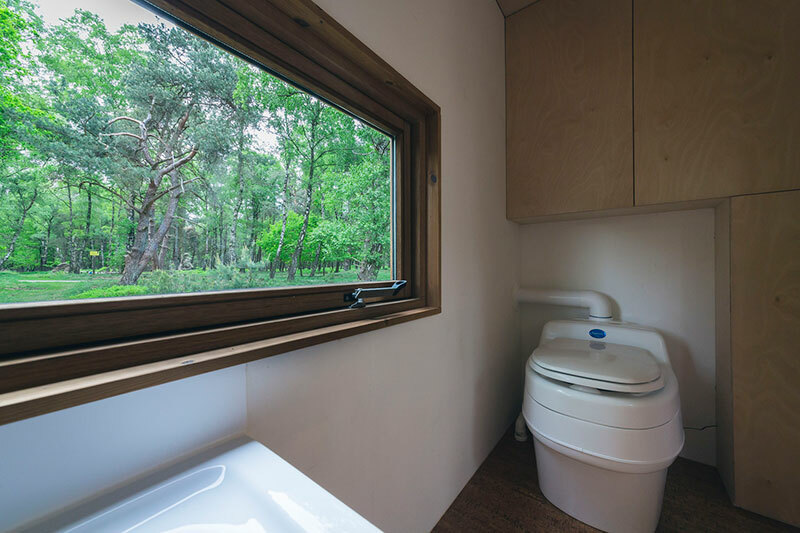 The bathroom consists of a half-sized bath and shower as well as a composting toilet to reduce water usage. 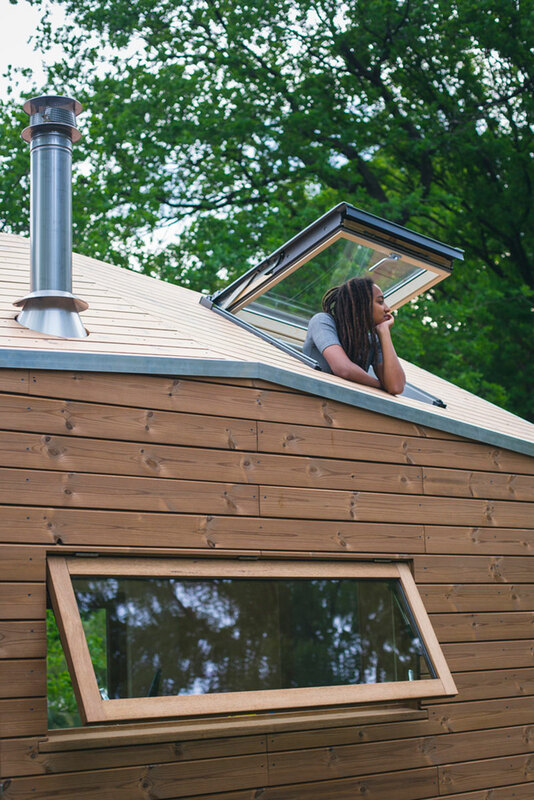 In the middle of the room, a small wood stove can heat the entire home and the house will also harvest its own rainwater using a natural wastewater treatment system. 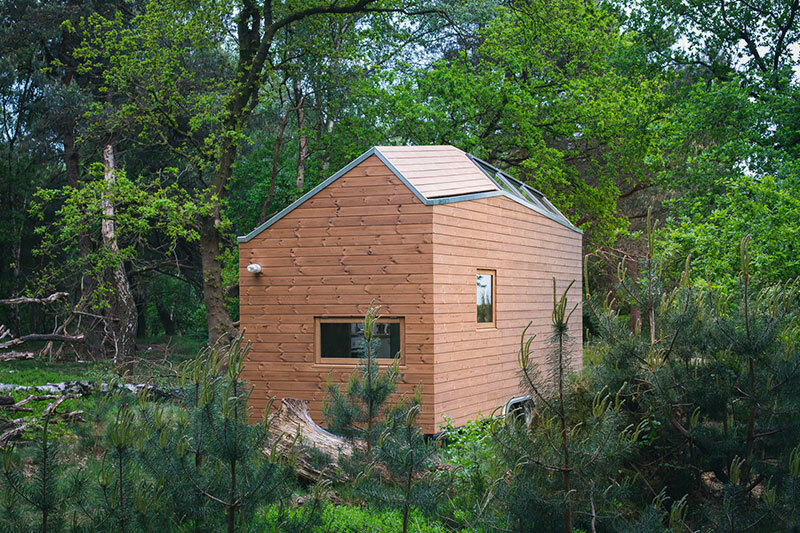 Living off-the-grid is achieved with three big solar panels placed on the roof that produces the required electricity. 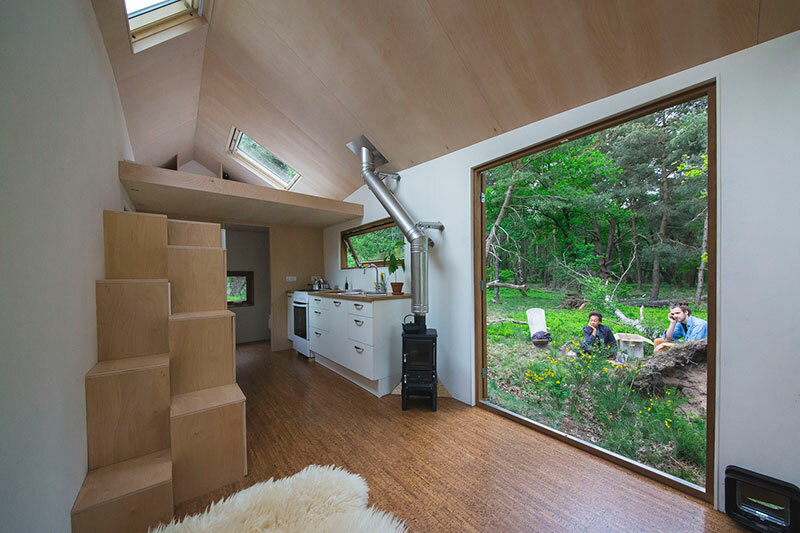 The living room area has an L-shaped corner couch which transforms into a dining table that seats four. 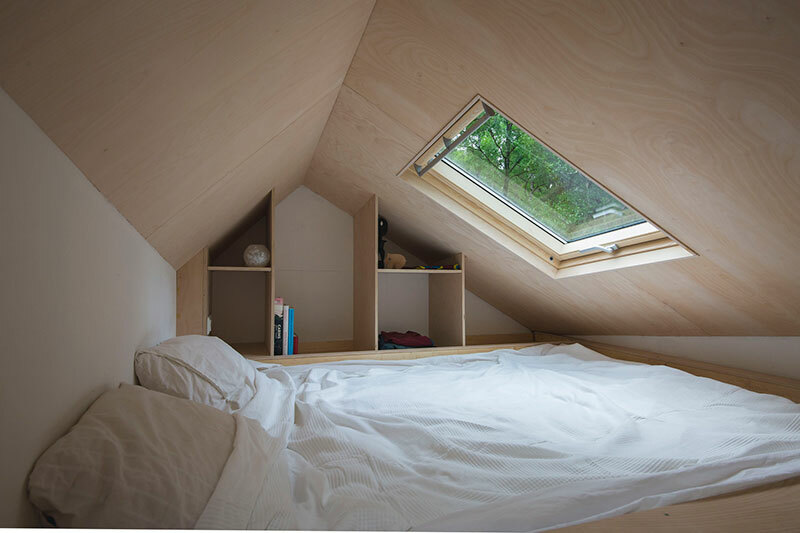 Stairs leading up to the bedroom functions as a closet and also offers space for a refrigerator. 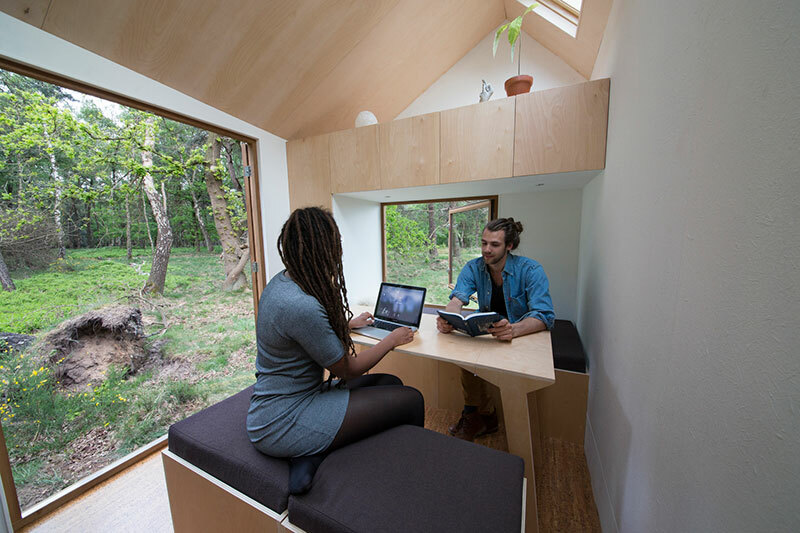 The house is inspired by the tiny house movement. 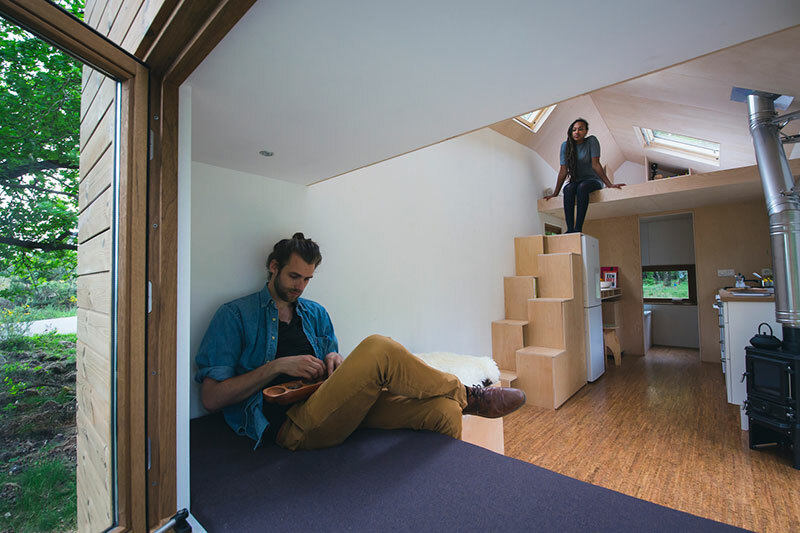 Living small generates more freedom; there is less junk in your house, you have to clean less and you don’t have to worry about a high mortgage since the average price is a fifth of a ‘’normal’’ house. 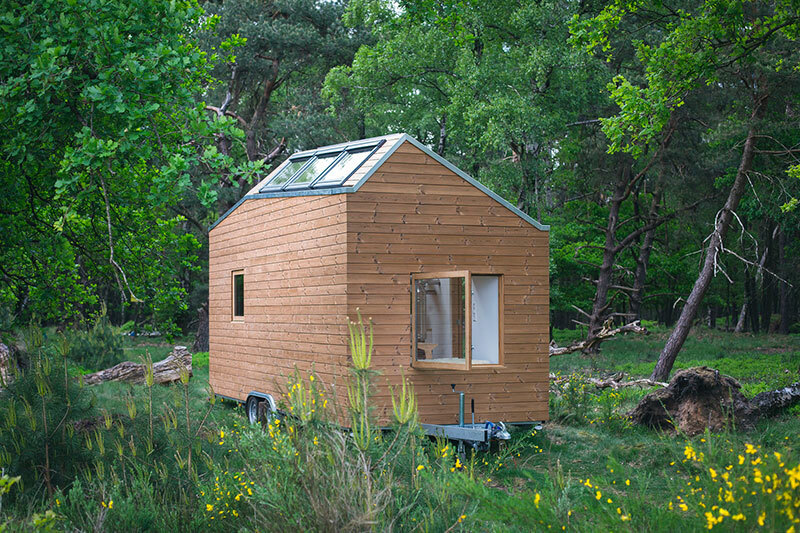 Furthermore, living smaller means using less energy. 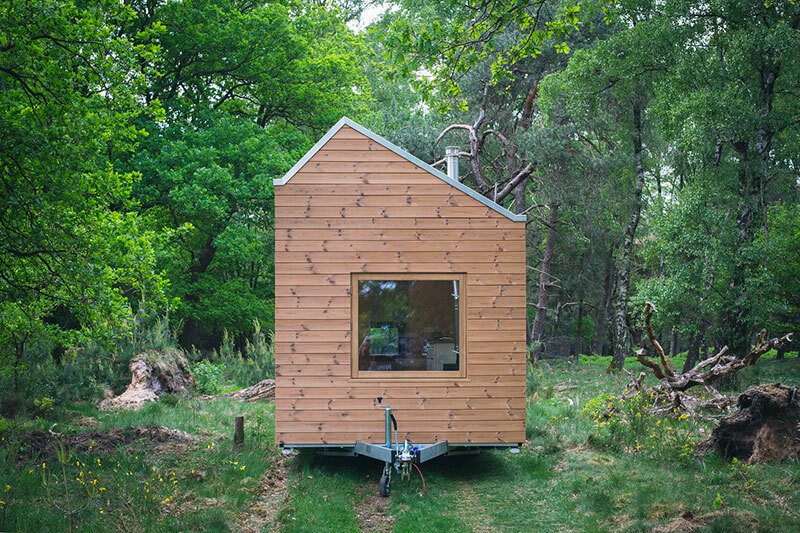 A contemporary tiny house designed by Netherlands-based Walden Studio that has clean lines and a spacious feel to it.